This is from another well regarded Japanese horror director, though Hideo Nakata (The Ring, Dark Water) actually directed this one. The original Japanese title translates to “black lily complex”, the name of the haunted apartment complex that is at the center of this. There were some interesting layers to this one, involving grief and loss and PTSD — and an amazing exorcism scene with a squad of women chanting in an attempt to expel the spirit that’s tormenting the protagonist, a female nursing student with a tragic past. Overall, this movie was pretty good, although the last 10 minutes or so were pretty laughable. A horror mockumentary starring Momoiro Clover. I don’t really think there’s anything I really need to add to that, although I will point out that my friend Ariana Osborne found this Kiss x Momokuro collaboration after I mentioned this movie to her. Momokuro visit an abandoned school which is haunted by Shirome (white eyes), a spirit who grants wishes but also causes death by suicide and other mishap if the wish isn’t made with absolute sincerity. Momokuro’s manager wants them to wish for an appearance on Kouhaku Gassen, one of the big TV events for New Year’s that involves a singing competition. Of course their wish is sincere, but not without lots of screaming and crying and freaking out about ghosts beforehand. Loft, like a lot of Kiyoshi Kurosawa (Cure, Pulse) movies, is a bit difficult to explain. It starts off simply enough, with a writer who is struggling with writer’s block turning to her editor for help finding a quiet place in the countryside where she can stay while she works on finishing her current book. Of course the place is not all that it seems — not only does it appear to possibly be haunted, but the last resident (also a writer, it turns out) mysteriously disappeared and the house next door turns out to house a mummy discovered in the nearby swamp. I get the impression that the mummy doesn’t like men much, but as it turns out, she has good reason, as all of the men in this turn out to have done terrible things. Overall, I’d say this one sits somewhere between horror and bizarre romance. Another Kiyoshi Kurosawa, this time about a stressed roboticist confronted by a doppelganger. It’s an interesting movie, partly because there are basically three different movies within it, in terms of pacing, structure and mood — the first part is fairly straightforward horror as he tries to avoid the doppelganger that haunts him, the second part is a bit more of a Jekyll and Hyde/monkey’s paw kind of thing, as he ends up relying on the doppelganger to help him finish his invention and the third part is kind of zany heist movie? It’s strange and I’m pretty sure I missed some stuff in the third part — I’m going to have to go back and watch it again when I’m less short on sleep. 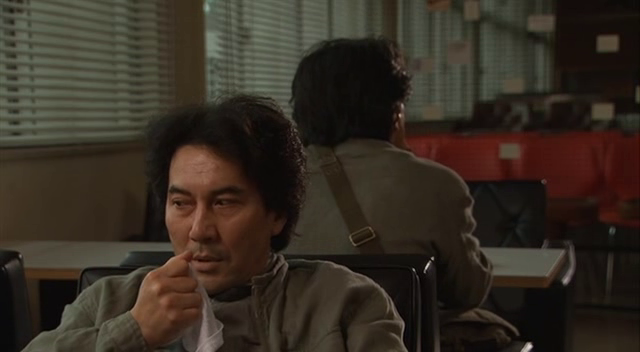 Koji Yakusho did a fantastic job playing the stressed out inventor and his creepy double, however. Who’s that sitting behind me? Is it me? To be honest, this isn’t really horror (nor can I recommend it) — I needed a break and wanted something mindless and trashy and this fit the bill. It has James Woods being hella racist (anti-semitic, specifically). It has an evil bisexual (of course -_-) and I should probably be more bothered by that than I am, but haha, I wanted cute girls making out and being evil. I’m mostly disappointed that her destructive impact didn’t extend to destroying the entire school. If you’re gonna go evil, go big. I know I said last week that I’m not into Christian mythology in my horror — because generally I’m not. 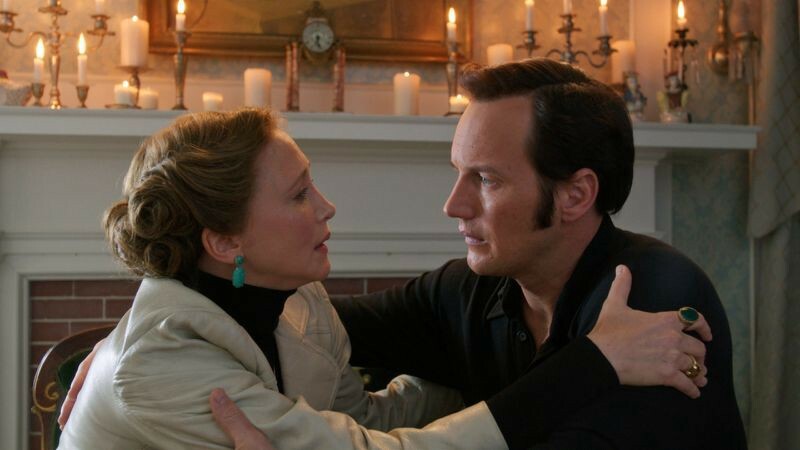 The Conjuring and its sequel are exceptions to that and I’ve been trying to figure out why. I think the first part is that it doesn’t feel like the mythology is front and center; it’s more about the people and how they’re being affected by the goings-on. The other aspect is that, unlike The Exorcist, I don’t get that whiff of xenophobia. Anyway, The Conjuring 2 is a really good sequel, which is a rarity for horror especially. James Wan has a real knack for tension and pacing, and this is no exception. The other thing that I find really interesting about these two movies is that some of the tension and horror really hinges on the relationship between Lorraine and Ed Warren (based on real life psychics) — in this one, Lorraine’s fear of losing her husband drives a really strong personal element into the horror in a way that’s lacking in a lot of movies. Also, Lorraine does the rescuing in this movie. I’m still having so much fun with this project! I’m already thinking of future projects along the same lines (maybe holiday horror marathon for Christmas?). I think the biggest thing I’m getting out this is that writing about movies is fun for me and I should do more of it. Until next week! And you can still follow along on twitter with the hashtag #31screams.